You are no triathlete or coach? That doesn’t mean that this study isn’t of interest for you. The figurative “extra wind” this training strategy can give you is relevant for almost every athlete. 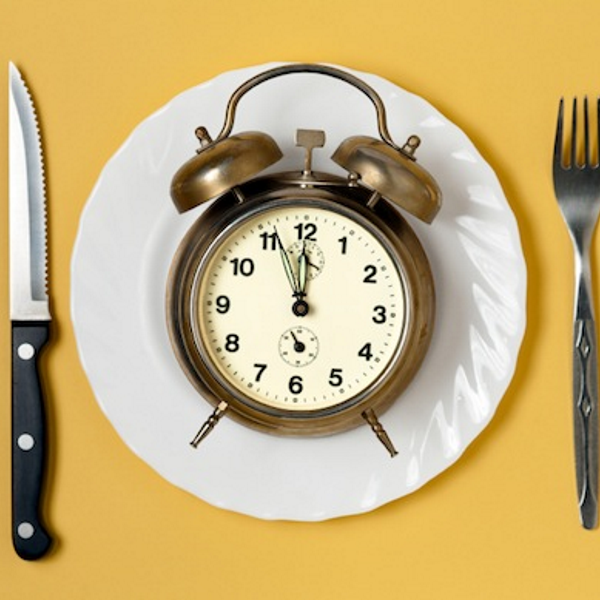 In a recent study, scientists from the French National Institute of Sport investigated the effect of a chronic dietary periodization strategy in a group of twenty-one highly-trained male triathletes. Previous studies, in which “train-low” strategies, during which athletes are deliberately carbohydrate restricted over certain periods of their training cycle, have reported robust a up-regulation of selected markers of training adaptation (increased whole body fat oxidation, increased activities of oxidative enzymes) compared to training with normal glycogen stores and high CHO availability, however, the subjects experienced at best disappointing performance increases. Scientists have long speculated that the disconnect between the benefits “training low” offers on the level of cellular / mitochondrial adaptation, on the one hand, and the real-world performance increases, on the other hand, could be a consequence of the necessarily reduced high intensity training intensity during the low-carb phases (Yeo. 2008; Hulston. 2010). If we simply assume that this hypothesis is correct, the solution to the problem should be obvious: Train low when carbohydrates are not necessary and use them, whenever they promote maximal performance. Marquet et al. implemented this principle in a way I tried to illustrated in Figure 1. More specifically, they tried to maximize the subjects’ performance during PM high-intensity training (HIT) by providing copious amounts of carbohydrates before the session and restricted the carbohydrate intake to close to zero after this glycogen-depleting workout.To test the efficacy of this protocol, the scientists used a 2×3 week study design in which the first 3 weeks were used to standardize the volunteers training regimen (10-15 h·wk- 1 : 40% running, 35% cycling, 25% swimming), assess subjects’ compliance to the study demands and ensure they all attained similar baseline fitness measures before study commencement. 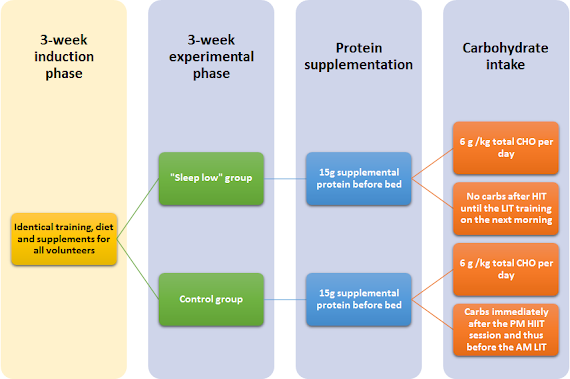 Figure 1: Overview of important aspects of the dietary / supplemental aspects of the study. “consisted of six sessions over four consecutive days, including high intensity training (HIT) sessions in the afternoon and low intensity training (LIT) sessions the next morning. […] LIT sessions consisted in 60 min cycling at 65% MAP (218.8 ± 20.4 W – 95% CI: 227.5 and 210.7), while HIT sessions consisted alternatively in 8 x 5 min cycling at 85% MAP (286 ± 26.7 W- 95% CI: 297.5 and 274.7) or 6×5 min running at their individual 10 km intensity with 1 min recovery between sets (37). […] One LIT session per day was prescribed for the other days of the week for a total training volume of 10-15 h” (Marquet. 2016). All subjects used their own training equipment to record their activity, the duration and intensity of exercise and heart rate. In conjunction with the volunteers’ perceived exertion records, as well as VO2max tests, maximal and submaximal performance tests and the results of a simulation of the final leg of a triathlon race, the scientists got a pretty comprehensive set of data. The effect of “training low” largely depends on the master regulator of mitochondrial adaptation PGC-1a. The latter is activated not just by the contraction induced calcium flux and exercise stress, but also by a lack of glycogen and increased levels of the (low) energy sensing protein AMPK. How does “training low” work? By deliberately restricting the carbohydrate intake during certain phases of your training you will be able to train in a glyocogen-depleted state and thus with clearly suboptimal fuel availability. The lack of readily available glucose that can be derived from the glycogen stores in your muscle, whenever necessary, exerts profound effects on your overall resting fuel metabolism and patterns of fuel utilization during exercise and triggers acute regulatory processes underlying enzyme and gene expression, as well as cell signaling (signaling proteins, gene expression, transcription rate of several genes, enzymes activity) which regulate the adaptive response to exercise. The results are an increased capacity to oxidize fat, a reduced reliance on glucose as a preferred substrate, etc. Figure 3: Make no mistake about it! The total amount of CHO the subjects consumed was identical it was just timed differently. No difference existed for any of the other macronutrients, either (Marquet. 2016). There was a significant improvement in delta efficiency during submaximal cycling , i.e. the power output per calorie, a very important measure for endurance athletes, for the “sleep low” compared to the control group (CON: +1.4 ± 9.3 %, SL: +11 ± 15 %, P<0.05). A similarly pronounced, albeit due to inter-individual differences, which loom large in studies with relatively few participants, only borderline significant (P = 0.06) beneficial effect was observed during the supra-maximal cycling to exhaustion trial at 150% of peak aerobic power, where the control group saw improve-ments of only 1.63 ± 12.4 %, while the “sleep low” group improved by 12.5 ± 19.0 %. The “sleep low” protocol also triggered significantly higher (P < 0.05) improvements in 10k running performance, where the meager -0.10 ± 2.03 % increase in the control group was topped by a -2.9 ± 2.15 % performance increase in the “sleep low” group. 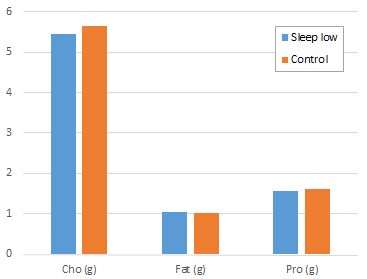 In the “sleep low” group, even the effects on the body composition were significantly more pronounced compared to the control group. To be precise, the subjects who “slept low” burned a whopping 8.7 ± 7.4 % body fat literally overnight, while the control group lost a likewise measurable, but significantly lower and overall non-significant -2.6 ± 7.4% of their body fat – don’t be mislead by the size of the bars in Figure 4; the fat mass is on the right axis which starts at 8kg and ends at 10kg. So there was no significant inter-group difference at baseline. No significant inter-group differences were observed for the changes in lean and total mass, either. Figure 4: Even if you’re not training for performance, the improvements in body composition, or more specifically the significant reduction in body fat without sign. changes in lean or total mass, may be of interest for you | total and lean mass on the left axis, fat mass on the right axis; all values in kilograms; sign. changes in % above bars (Marquet. 2016). 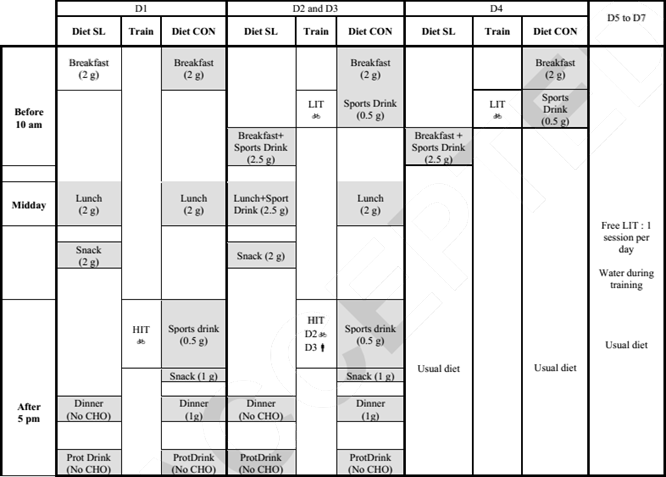 Against that background, it is by no means an exaggeration to say that even in the short-term (and that’s what I consider particularly impressive here) the “periodization of dietary CHO availability around selected training sessions” can promote “significant improvements” in several highly relevant performance marker of trained athletes” (Marquet. 2016). Ok, that’s not exactly the most scientific explanation (see red box for more), but it is one that highlights one of the most important and yet commonly overlooked principles of physiological adaptations: they occur in response to a need. Hulston, Carl J., et al. “Training with low muscle glycogen enhances fat metabolism in well-trained cyclists.” Medicine and science in sports and exercise 42 (2010): 2046-55. Marquet, et al. “Enhanced Endurance Performance by Periodization of CHO Intake: “Sleep Low” Strategy.” Medicine & Science in Sports & Exercise (2015): Publish Ahead of Print. Yeo, Wee Kian, et al. “Skeletal muscle adaptation and performance responses to once a day versus twice every second day endurance training regimens.” Journal of Applied Physiology 105.5 (2008): 1462-1470. FASTED TRAINING = MORE ANABOLIC?